You all might remember my first installation of Old Blue. 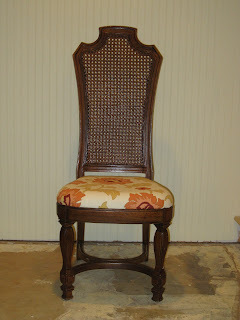 This was an antique chair I made over to put in my foyer beside the buffet. Unfortunately, the chair was just way too short for its intended spot. 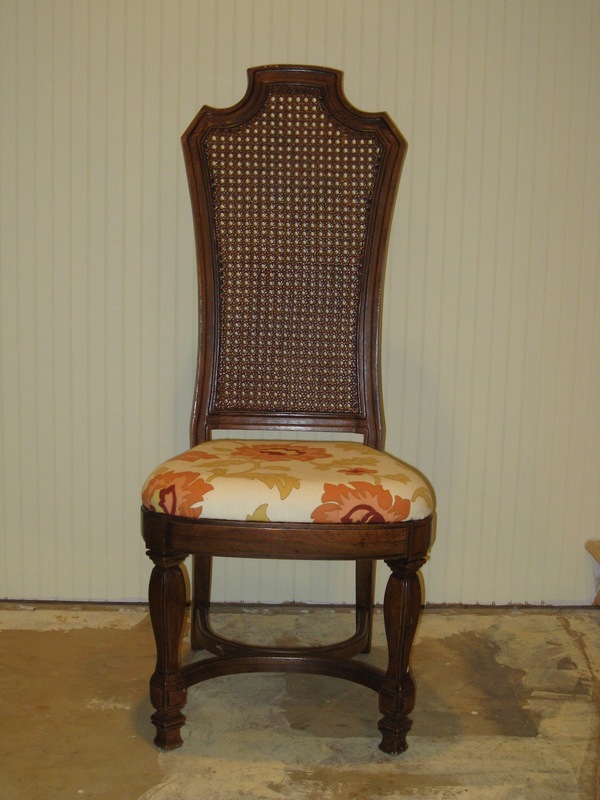 It looked like a doll chair sitting there in my foyer. Seriously. You can find the details on that redo here. I set out to find a new, taller chair for my foyer and happened to stumble across this gem at my local goodwill. Isn't she a beaut? I love the caning in the back and the curves at the top. Plus she has some great front legs on her too. Best of all this little gem was only $8.98. What a steal! 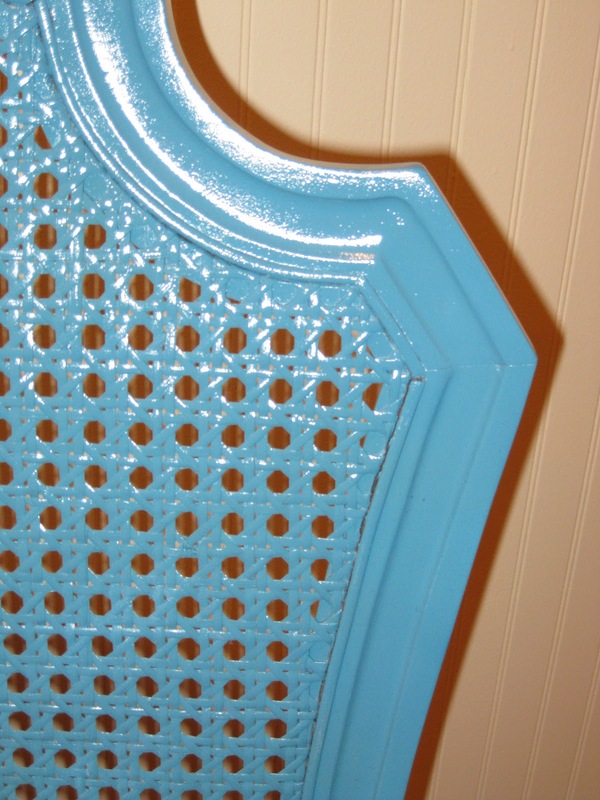 I think I'll redo the original old blue to use as a desk chair. Updates to follow! That chair has such pretty lines! You were lucky to find the same fabric again! Thanks Cynthia! I had a few other choices at the fabric warehouse but had my fingers crossed as this one was definitely my favorite! Love this and I adore the color! Thanks for sharing with the newbie party. 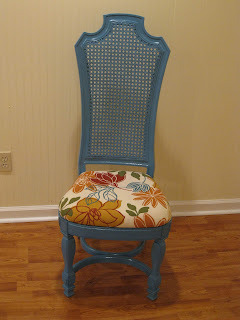 Love the fabric and a good ol' chair redo! it looks so fresh! the color is awesome and i love the fabric, too!